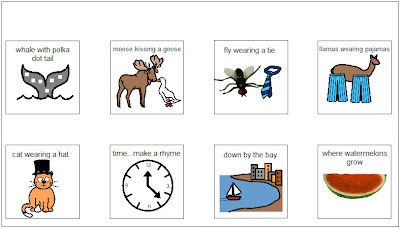 Miami-Dade County Public Schools' website, Prekindergarten . . . the Right Beginning, has visual supports for everything! 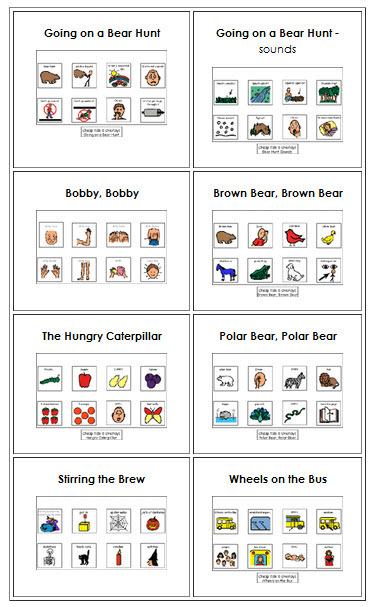 Find device overlays and preschool communication boards made with Boardmaker* on their Boardmaker Downloads Section. If you have Boardmaker 5.0 or newer, this is a goldmine! 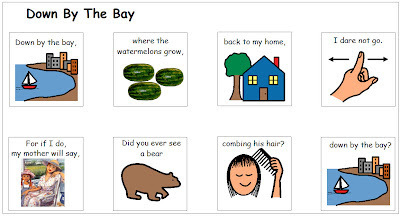 Although this is a preschool site, many of the communication boards or activities can be used with older students. Each board or overlay can be modified with Boardmaker software. Cut boards or overlays to use pictures individually. 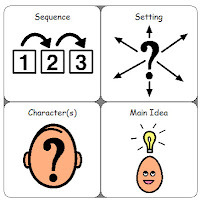 Print more than one board or overlay to make games or matching activities. If you don't have Boardmaker, sign up for one of the free 30 day trials at the Mayer-Johnson site. You will need to download and print during the 30 trial as the files cannot be opened without Boardmaker. 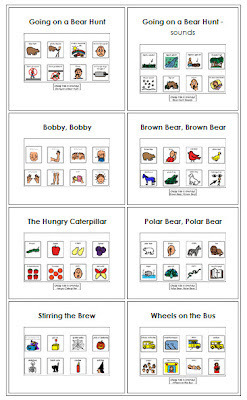 There are communication boards and /or overlays to use with a large variety of toys found in early childhood classrooms, as well as many learning activities. The list below is a small representation of the items that you will find on this wonderful site. First / Then charts in a variety of styles and sizes. *You must have Boardmaker 5.0 or newer to download these boards and overlays.